1. Show-and-Tell – We all like talking about our personal stories and things that hold special meaning in our lives. 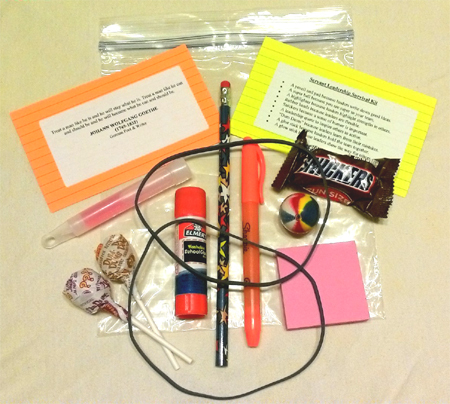 Have each of your RA staffers bring something to your staff development meeting to share with the group. I’ve had RA’s bring special awards, mementos from family members, and other items that hold special sentimental value. The activity allows staffers to learn things about one another that they may not have known before. This is a no-cost activity that usually sparks great discussion. 3. Article & Book Discussions – I am a big advocate of reading and recommending those resources to my staff and colleagues. If your budget allows, purchase a particular book for your staff. They can read the book prior to your having an in-service meeting to discuss the book and how you can apply its content to your own organization. You can even prepare “discussion prompt” worksheets so they can jot down ideas prior to the meeting. To simplify things, assign a particular chapter or even a small journal or magazine article for the discussion. 4. Games & Simulations – I enjoy creating and leading games and simulation activities for my staff. Games and simulations should be centered around learning specific aspects of their RA position, including teamwork, basic counseling skills, and communication. Click HERE to find a handful of simulation activities related to diversity, delegation, and communication. I also highly recommend Barnga: A Simulation Game on Cultural Clashes by Thiagi. 5. Case Studies – You can create various case studies that your staff can work on to determine various solutions. 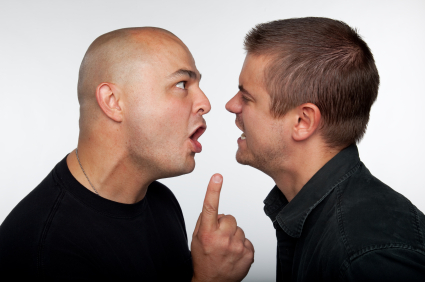 Pair up newer RA’s with your veterans so they can work together. Case studies for RA’s can range from conduct and mental health issues to diversity and teamwork challenges. 6. Community Service Projects – Arrange for your staff to participate in a local community service project. 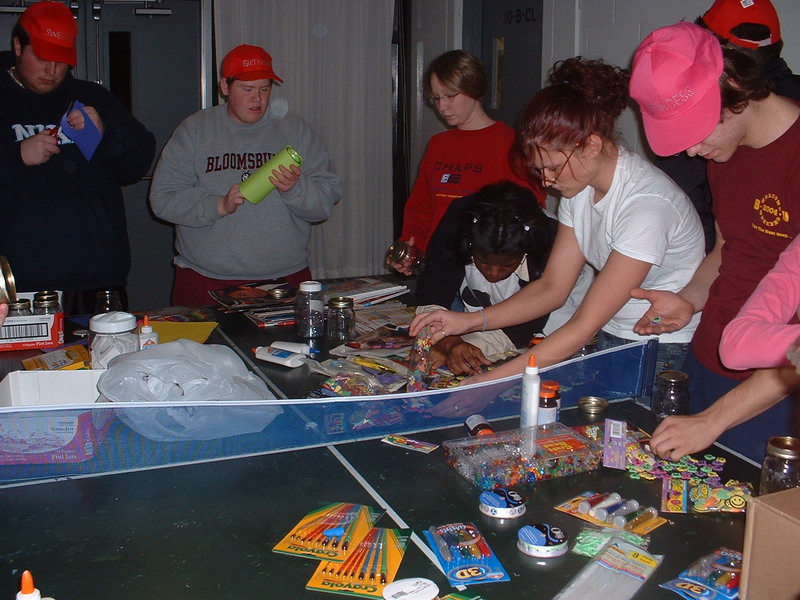 Projects can range from helping at food banks, YMCA and other youth group organizations, churches, and local municipalities. 7. Photo Scavenger Hunt – While I understand that scavenger hunts can be discouraged at some schools due to hazing policies, photo scavenger hunts can be an easy way to build team collaboration and spirit. Larger staffs can be broken up into smaller teams and sent out to get photos of various objects and situations. The team that gets the most photos of the objects listed in the time alloted wins a prize (or simply kudos). Here is a photo scavenger hunt sheet you can print and use. 8. MOOC Courses – A “MOOC” is a massive online open course. MOOC’s are free (hence the “open”) and offered by various universities and organizations, such as Stanford, MIT, and Khan Academy. Some of the course materials would be appropriate to use for staff development activities, including business, management, and psychology lessons. RA’s could work on various lessons you assign on their own time or read the content prior to attending a staff meeting where it will be discussed. 9. Webinars – Similar to #8, webinars are online presentations that can be viewed as a group or individually. There are many webinars available online for a fee and for free. Topics range from business, marketing, and social media use, leadership, and student life-related areas. 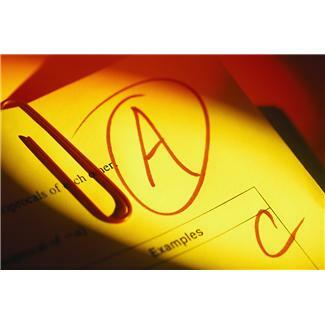 Pre-tests and post-tests tied to student life outcome efforts could be created and administered. 10. Arts & Crafts – Sometimes staff development activities can be simply for fun. The completed projects can be kept by the staff or donated to local care homes and hospitals. 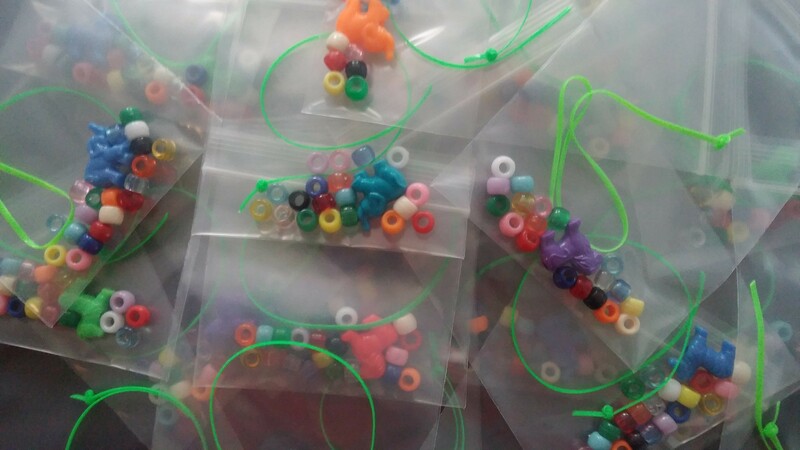 Craft supplies can be purchased at Walmart, Target, local craft stores, or even online at Oriental Trading. 11. Leadership Chats – Facilitating leadership-related discussions between RA’s and executive administrators at the university can prove to be very insightful and expose them to individuals they may not normally interact with. University staffers, such as the Vice President of Student Affairs, Vice President of Finance & Administration, and the Director of Housing & Residence Life can be invited to in-service meetings to discuss topics regarding career development and being a leader. Twitter is a perfect and inexpensive way to connect with new students and their parents. For those of you who may not be completely adept at using Twitter, you can reference Twitter 101 for Student Affairs Professionals to learn more about the power of using Twitter in Student Affairs. 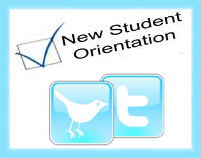 If you don’t already have one, create and advertise the orientation Twitter handle / name to parents and students and tell them that they can use this to ask any questions they have during the process. (Note: You MUST have someone monitoring this from your office constantly to give a quick response.) Armed with an orientation and / or FYE Twitter account, the sky is the limit for making new relationships with your students. Ask students to tweet what they are learning and experiencing during orientation or FYE-related activities. Create Twitter scavenger hunts. As students go from area to area, they can send tweets based on a sheet you give them related to information they should be learning. Ask parents to Tweet their best college advice; you would have to create a hashtag for this purpose so you can track them. Otherwise they need to mention your twitter name in the tweet. A “quality” prize (e.g., hoodie, dinner with VP or president, etc.) could be raffled at the end of the orientation period. Show this Tweet at the bookstore during orientation to get 10% off. What do you want to accomplish and how can we help you? Show this tweet at check-in and get a free university lanyard. Who is a new friend you can recommend to follow? What has been your favorite part of orientation so far? Take some time to search for other colleges and universities’ orientation and FYE departments from across the country and look at their tweets to see what they are doing. You can also simply tweet this question with the #studentaffairs, #orientation, #FYE, and #sachat hashtags and you’ll get responses from many individuals. What are some other Twitter tactics that you have used to enhance your orientation and FYE programs? Please share your comments below. 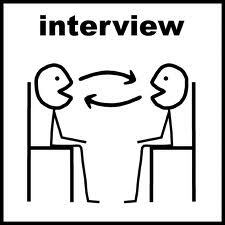 Make the interview process itself an educational experience for the student. I had a colleague at a previous institution who set up resume writing and interviewing workshops prior to the actual interview process. Student candidates were invited to attend these short (30 minutes) workshops that were held in a lecture hall. Tips and suggestions were given to students related to interview practice, appropriate dress, follow-up, and information on how to seek out services at the career center for additional help and preparation. Even if they did not get the job, they still walked away with invaluable life-long skills that will help them after they leave college. When crafting questions, first list the qualities and skills that you need these student leaders to possess. Then develop your questions to assess for these particular attributes. For example, if you are hiring campus tour guides, you would list qualities such as: enthusiasm, ability to remember many facts and details, sociable, and quick to think on their feet. A question like “How would you respond to a parent touring the campus who asks what students can do on the weekends?” gets to the heart of their ability to think on their feet and demonstrate if they are knowledgable of campus activities and services. Not only are you going to see if they give an appropriate answer unrelated to partying, but to see if they can actually list activities available on the weekends. Test interview existing student leaders. When you have your questions selected, do a test run with the student employees you already have. If your current student staffers are stumped by any of the questions, it is going to be certain that new candidates will not be able to answer them either. Get their feedback on their own interview process and what they think is important to include in an interview. They are out in the field actually doing the job so respect their experience and utilize them as an added resource. Additionally, include them in on the interview process as well so this becomes educative for them. Not only can they list this on a resume, but they will be able to implement what you taught them if they end up in hiring roles themselves in the future. Click to receive a free “Individual Interview Questions for Student Leaders” handout, which lists 30 different interview questions that can be adopted for your own interview processes. Please feel free to share this resource with your colleagues. You are currently browsing the archives for the Free Handouts category.